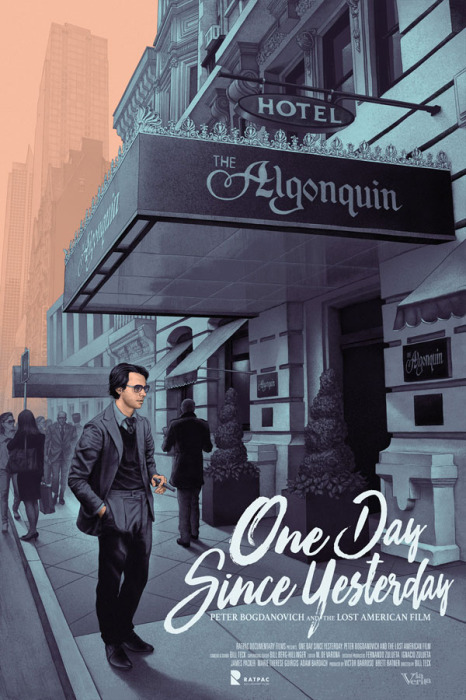 We’re really excited to share this new poster art by RORY KURTZ for the new Peter Bogdanovich documentary One Day Since Yesterday: Peter Bogdanovich & the Lost American Film. In this documentary, Peter Bogdanovich reflects on his 1981 film “They All Laughed” and his relationship with Dorothy Stratten, who was murdered after shooting wrapped. It’s out on Netflix so go check it out! Thanks to the awesome crew at Mondo for the great assignment. We absolutely loved how this one turned out, another stunning piece of art by Rory!